We are a ZERO DRUG TOLERANCE organization. Sustain and enhance quality of life in Izard County as a great place to live, work, and raise our families. We are proactive in response to illegal drug activity, domestic violence, property crimes, and other criminal activity. We are dedicated to serving and protecting our citizens at every opportunity. 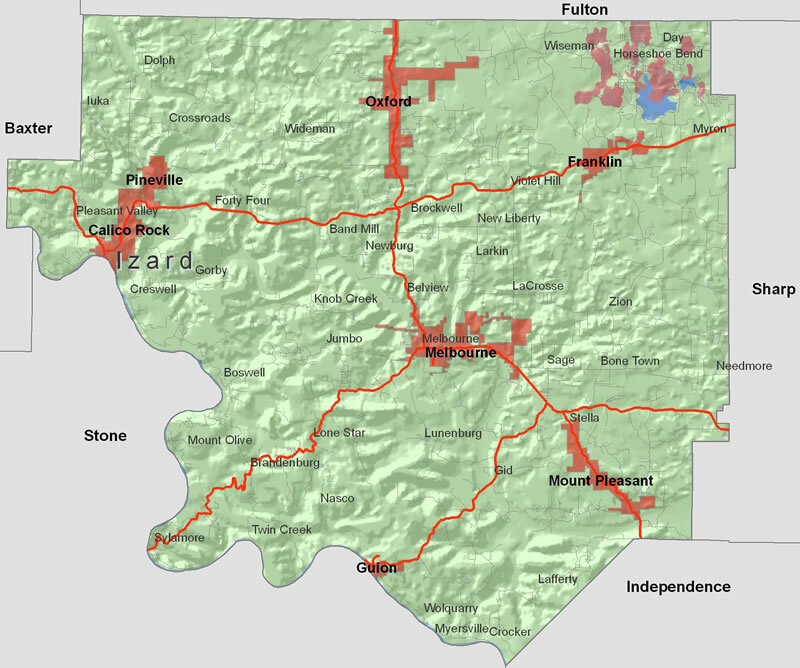 Izard County, located in north central Arkansas and nestled in the southern Ozarks, is home to some 14,000 people. The county, the thirteenth formed in the Territory of Arkansas, was named after the 1812 War General and Arkansas Governor George Izard. The major towns in Izard County include Melbourne, the county seat; the historical Calico Rock, located on the beautiful White River; and Horseshoe Bend, a nice retirement area located on the Strawberry River. Other towns include Mt. Pleasant, Pineville, Oxford, Violet Hill, Franklin, and Brockwell with several smaller communities scattered throughout the county. The mostly rural county is made up of people who are proud and have a strong work ethic, a friendly disposition and a caring heart. Izard County is a great place to live and raise a family. The educational system is made up of several K-12 school systems that are located at Calico Rock, Izard County Consolidated at Brockwell and Violet Hill, Melbourne, Mt. Pleasant; and Ozarka College, a two year community college located in Melbourne.